Welcome to the tourist facility at Tjörnbron in southern Bohuslän. We welcome caravans, motorhomes and tents on our camping field. Close to service building with toilets, showers, washing up and cooking area, and laundry room. The daily hire includes free access to the service building. A charge is made for laundry facilities, which can be booked and paid for in the reception. 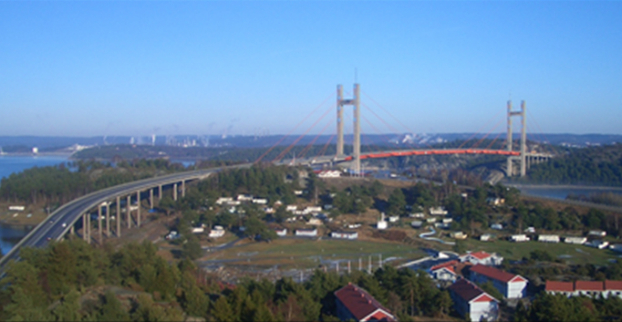 Our restaurant is located right at the top by the Tjörnbron picnic area, with nice food and wonderful views of the sea. We are fully licensed. Stay in our nice season park for luxury caravans and caravans without crowding. Every season pitch has an electricity meter and you only pay for the electricity you use. The season charge includes water, sewer and refuse collection.